Relais International opened a new office in Lagos, the largest city of West Africa, to answer the needs of representation and relocation of our clients. 2 Senior Consulting Parners, Mrs. Carole Boissier and Mr. Bertrand Huet joined our Team and are located in Lagos, they address our clients needs in terms of Logistics and Marketing for diverse sectors including Oil&Gaz, Aviation, Defense and Security to name a few. RELAIS GUEST HOUSE IS OPEN – CHECK IT OUT! Relais Guest House is situated in Relais International Business Center (RIBC), 12, Charles de Gaulle Close off Jimmy Carter Street in Asokoro, Abuja. Relais Guest House operation mode is semi-private, it means that we only serve guests from Organizations that are already our clients or that have a specific agreement with us to accommodate their staffs, consultants or visitors. Please contact us for setting an Agreement. Relais Guest House is a FlatHotel operation that proposes 10 rooms and self-contained flats at the very top of the RIBC building in Abuja. The flats & rooms can be booked by night, week, month, quarter, year … depending on your needs. Relais Guest House flats & rooms are dedicated to serve an international clientele that is to stay in Abuja a few days on short assigments but that is not willing to stay in a regular hotel nor to rent an unfurnished appartment. Relais Guest House flats are furnished and serviced. It is running as a hotel with daily cleaning service, laundry services for personal items and a restaurant (Relais Café) open from 08:00 till 21:00 Mondays to Fridays for breakfasts, lunches and dinners. Room service is available thanks to an intercom system. 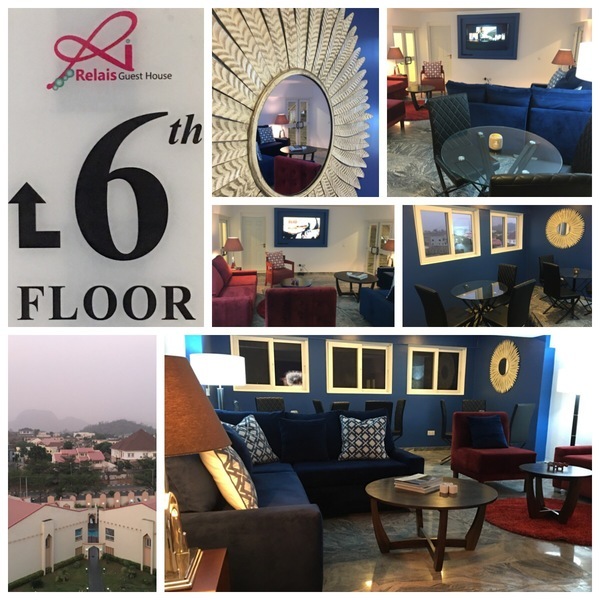 Relais Guest House flats have a TV with major international channels including a french bouquet (Dstv), wifi internet access, a terrasse with a spectacular view over Asorock and the city of Abuja. 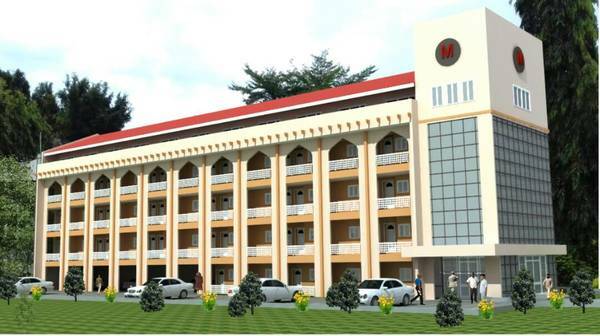 Please call us +234 903 076 0724 to enquire about the Guest House, visit the facility and may be book a flat! Representing half the size of Relais International Business Center, Phase 3 will finalize the development of our plot in Asokoro and will harmoniously fit in the environment. Destination of the building is offices and residential as an extension of RIBC operations. More about this project. 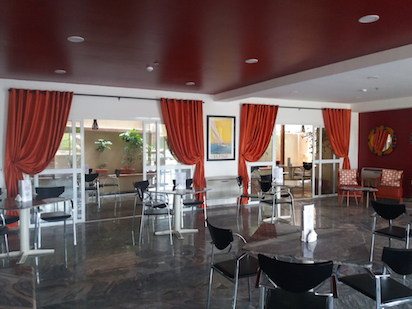 Relais Cafe is situated in RIBC building and proposes Restaurant and Catering services in Abuja. The restaurant have renewed his list and have been going through a decoration process over the past few month thanks to Anjara Jung. Have a look at our page and Facebook page for more pics and details! Set up more than 15 years ago, Relais International provides Facility Management and Consultancy Services. We operate as sole owner and manage the buildings designed and constructed by our own project team. US Embassy, British High Commission, French Embassy, EU, UN, AFD, USAID, GIZ, JICA, Thales are some clients of our organization in Abuja. 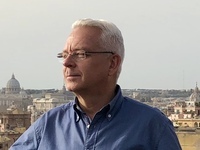 Yves Simon, Business Development Manager of Relais International, is at your disposal for a visit of the premises and more details about renting opportunities.